It's got front wheel drive. It costs £38,770. Eh? A Porsche Boxster costs £37,589 and that's got a flat-6, exactly the same horsepower, does 0-62mph in 5.8 seconds. And it's a Porsche. With a Porsche chassis. And a Porsche engine. And Porsche badges. And VW make it on their own production line in Osnabrück. 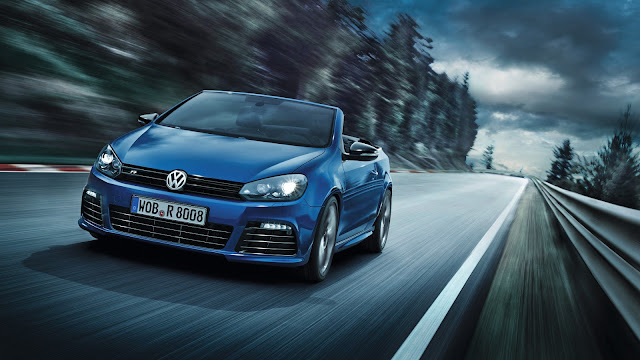 Volkswagen have shot themselves in the foot by pricing the Golf R Cabriolet so high, and directly against the Boxster. Happily it seems Volkswagen have listened to the criticism and have reduced the price of the Golf R Cabriolet to £33,170. VW have already sold six Golf Rs at the higher price and will refund the difference to those buyers.